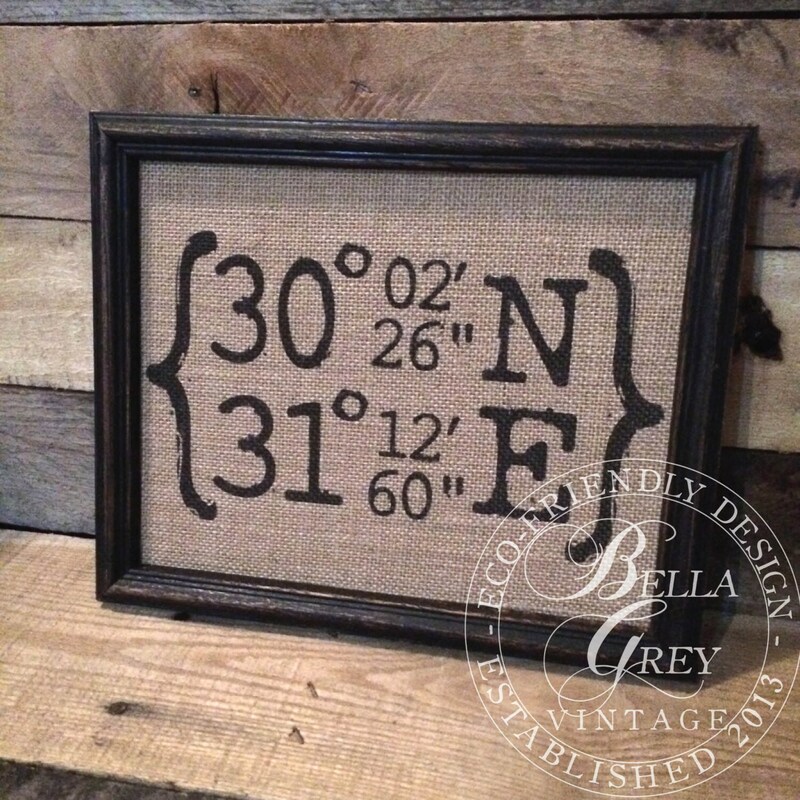 Burlap or Natural Cotton Fabric Art Print features the longitude and latitude of your choice. 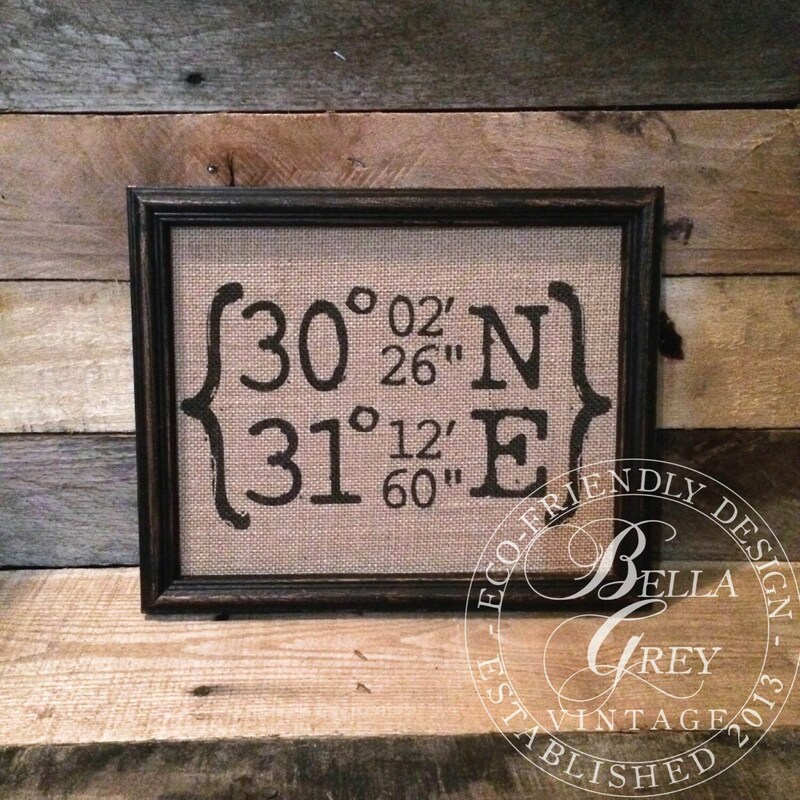 A thoughtful wedding, graduation, housewarming or going away gift. Gave as an engagement gift- loved it! Seller was so easy to work with and super speedy!